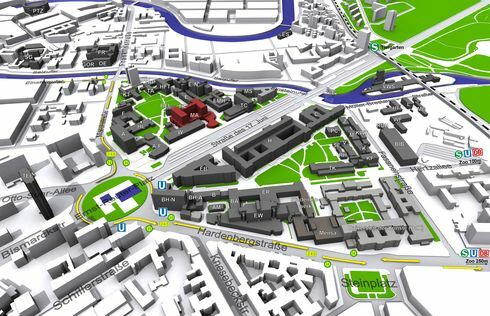 The campus Charlottenburg (10623 Berlin) is within reach of the stations U-Ernst-Reuter-Platz, S-Tiergarten and S+U-Zoologischer Gart. Information for visitors on the arrvial to the central campus of the TU-Berlin can be found here. An overview of all locations of the TU-Berlin is to be found here.